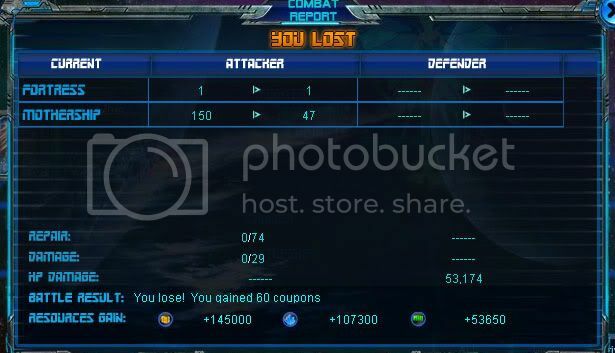 I am not sure whether it is bug or not, but we are getting shockingly low results when fighting pillar. Thank you in advance for the fast answer. We don´t know, whether we should proceed with attacking. It seem you have fixed it. Thank you for no answer. You should give us the AP recharge for the loss. But concerning the way how you treat your customers (cause most of spends money on this game, so we are not just players, we are YOUR CUSTOMERS) I suppose you will do nothing as usually. You really don´t seem to care at all. Yes, we made a mistake with the last patch and it's now fixed. (editted) Yes, sorry you re right, it's 90% reduction. Already test Iris and Alston. PLEASE, reply. Are you working on the fix? Have u noticed? Have u ever read it? If so, plese, announce the supposed time of resolving the issue. Or again, we shall get no answer untill we find out ourselfs by LOOSING SHIPS AND AP? It looks like the bug was re-introduced again. This is now fixed and we made sure it will not happen again this time. Sorry for the trouble.